Pro Aircraft Maintenance is looking for an M1 licensed AME to work at our facility at Boundary Bay Airport CZBB. 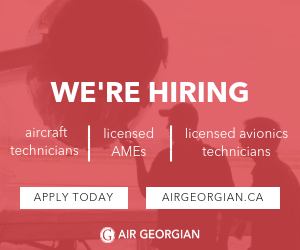 Pro Aircraft Maintenance is an AMO serving the general aviation community and BC's exclusive Cirrus Authorized Service Center. Pro Aircraft Maintenance maintains Professional Flight Centre's fleet of more than 20 aircraft as well as a wide variety of customer aircraft. • Cessna 152/172 series aircraft type experience an asset. • Minimum Grade 12 diploma or equivalent required. • Verbal and written skills and basic computer skills. • Proven time management skills and strong attention to detail. • Ability to interpret and comprehend a variety of aircraft technical manuals. • Experience updating technical records. • Ability to work well individually as well as part of a team. Pro Aircraft Maintenance is an equal opportunity employer and welcomes applications from all interested parties. We thank you for your interest, however only those candidates selected for an interview will be contacted. If you are interested in this position, please apply directly by sending your resume to hr@promaint.ca!